If you are looking for Hotel Jobs in Dubai, then you’ve come to the right place. I will help you to search, apply for, and prepare for your Dream Job in Dubai. I request you to follow the procedure that I have written below, if you wish to succeed in getting a lucrative job in the booming hospitality industry in Dubai, and other Emirates in The UAE. at the TOP Hotels, from 2 Star all the way to 7 Star, budget hotels, backpack hotels, bed-and-breakfast hotels etc. Search & apply for current jobs at the TOP Restaurants, from a cafe, all the way to Michelin starred gourmet restaurants, and everything in between. Register with the best agencies that specialize in recruiting for Hotel Jobs in Dubai and the entire United Arab Emirates. Search from the best collection of the latest hospitality jobs on a daily basis. Presented to you from various sources like Hotel Sites, Recruiters, and portals. This is one thing you have to do! Find Jobs in the Middle East on Bayt. Ensure to complete registration. Strong Skills Projection: Remember to create your CV keeping in mind the position you are targeting. The 1 or 2 skills that are most important to this job should be used effectively & highlighted to create the CV. The skills that were important in a previous job role should NOT be highlighted. 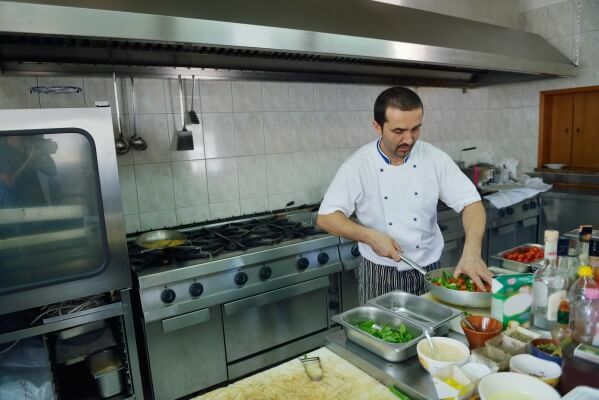 For example, if you are targeting a Sous Chef role, then the skills that should be highlighted are "planning"; "directing" & "supervising" food preparation in a kitchen. You should NOT highlight skills like "learning", "communicating" & "carrying out orders" of your previous job as a Commis Chef. Shabbir Kagalwala's Professional CV Writing Service creates a targeted CV for you that is up-to-date for application to Hotels / Restaurants in the entire GCC region.